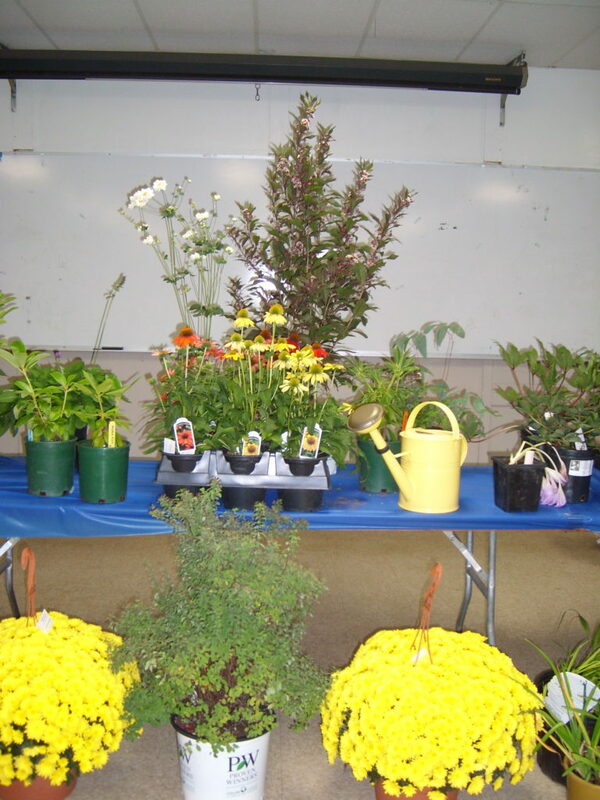 Thank you to everyone who helped with the Fall Plant Sale & Auction in Vernon. It takes many people to pull this event together from getting publicity out, collecting donations from nurseries and garden centers, bringing food and beverages, helping with setup and break down, helping with pricing, recording auction prices, collecting the money, running credit cards, etc. Thanks also to everyone who donated plants from your yards. All of the help and hard work is greatly appreciated. We raised $2,772 for the CHS Scholarship Fund! The following nursery/garden centers generously donated to our auction. Please consider patronizing them when doing your garden shopping. The wonderful wholesaler, Summer Hill Nursery in Madison, also contributed plants to our auction. Many thanks to our educational and entertaining auctioneers: Nancy DuBrule-Clemente, Maryanne Gryboski, Judy King, Kassie Moss and Kevin Wilcox.